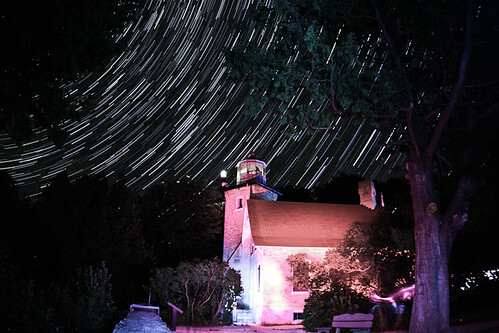 In a recent trip to Door County, I was presented with an opportunity to get some star trails pictures at the Eagle Bluff Light, which is in the Peninsula State Park on a clear night. There was little light pollution, and the number of stars was amazing. 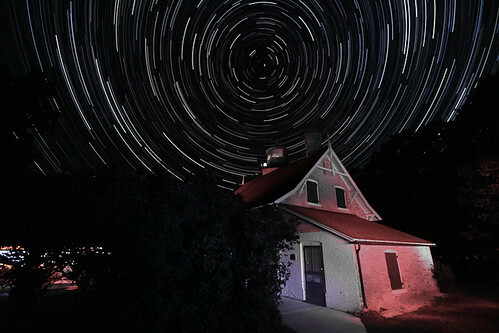 Using 30 second exposures stacked together with star trails software, here are the results.